So let’s see-how long have I lived in Southern California? All of my life, went to school in Los Angeles at FIDM and I have never been to Mood. Can you believe it? Well, maybe I did once, a long time ago but I didn’t know which store it was at the time when I was shopping for bridal fabric and if it was, it wasn’t nearly as famous as it is now. So what did I think? OMG, now I know why I kind of avoided it for as long as I had because one can get into a lot of trouble there. Granted prices are not inexpensive, but what a glorious selection of fabrics- silks especially, I was definitely in heaven. And kudos to my hubby who was a trooper through the whole shopping experience. Actually, he found a comfy couch to sit in and just watched me go through the rolls and rolls of fabrics in front of him. 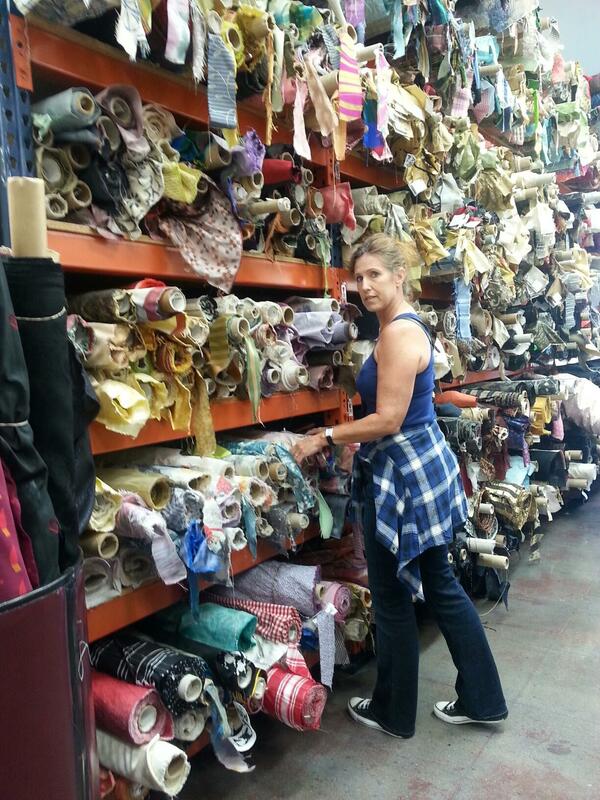 Then he took a few pics of the store and helped me make some decisions on fabric. I ended up with a beautiful Oscar De La Renta silk chiffon in shades of blue which is my favorite. 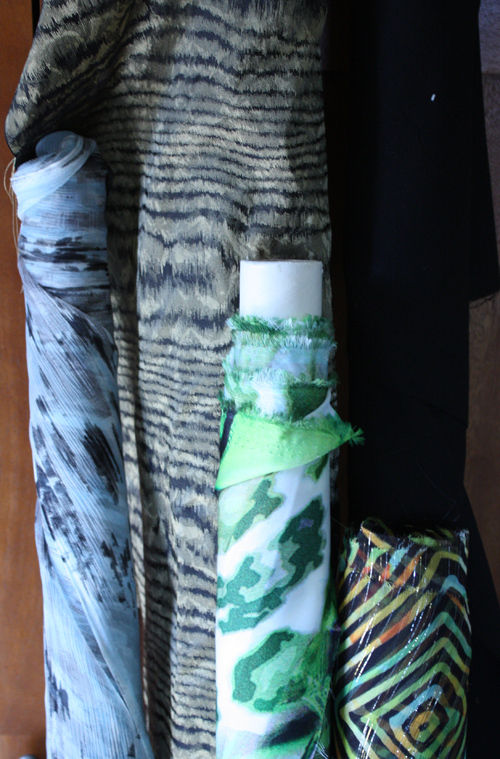 I also got a few other pieces, and a ton of white silk habotai for linings. It seems I was always running out of silk habotai. As far as the reviews of Mood on Yelp are concerned, we had a wonderful salesperson. Aimee, who helped cut my fabric and was very entertaining to talk to. She made my experience there pleasurable despite the apprehension I felt from the reviews about rude salespeople. I will be making trips to Mood a few times a year now- I really have no excuse since I really live only an hour away. I still need to go back and check out the laces!! But at those prices I need to know what I am doing with them. Stay tuned to see what I create out of this! I dream of MOOD! Thanks for sharing.